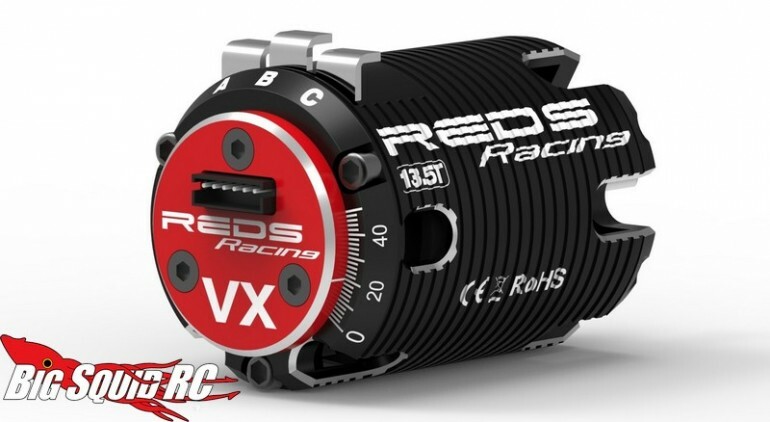 REDS Racing 3.5T, 4.0T and 5.5T Brushless Motors « Big Squid RC – RC Car and Truck News, Reviews, Videos, and More! While REDS Racing is best known for their nitro engine prowess, they also do brushless motors for the flashlight crowd. For you truly power hungry types, 3.5, 4.0, and 5.5 turn motors are now available from REDS. These are 2 pole sensored 540 sized motors which are intended for tenth scale applications, and are part of REDS VX motor line-up. Their cases are CNC machined from 6061-T6 aluminum and have large vents for maximum airflow. Balanced sintered rotors and low resistance copper solder tabs round out the package. Simply hit up This Link to head over to the official REDS website. Get more brushless news At This Link on BigSquidRC.